Work Hours: 7:30 AM – 5:30 PM M-F, 9 AM – 5 PM Sat, no work allowed on Sundays. 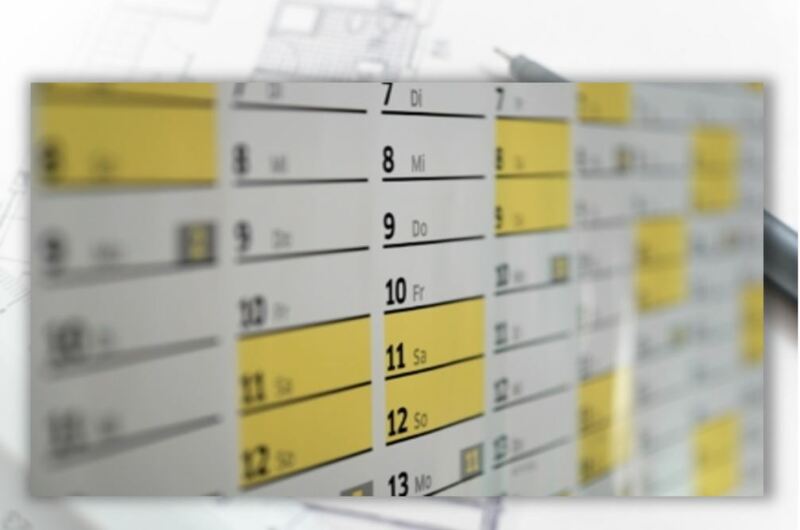 Provide a detailed construction schedule. If the start date is unknown, note this in the CMP and turn in a schedule once the start date is decided. The City has certain “no work” days throughout the year. They are generally on federal holidays, but there are other times such as Food and Wine Festival and Christmas Week when work is also restricted. All “no work” dates are listed in the CMP Manual. Please contact a CMO if you have any questions.